How good design could save a million babies every year. The boy was minutes old and near death. His breath came in shallow, rapid gasps. His mother, Mary Nankwenya, knew something was terribly wrong. 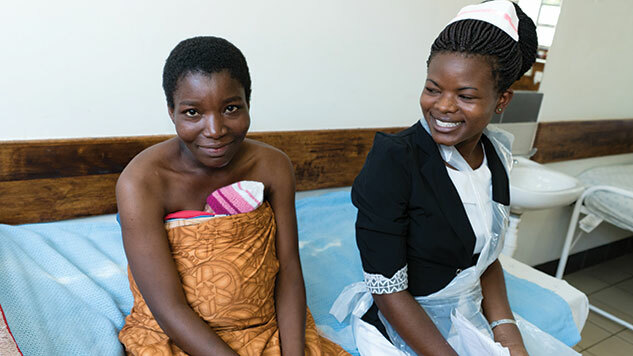 When her labor had begun several weeks too early, she’d rushed to the nearest hospital in Zomba, a small city in southern Malawi, and given birth at midnight. But before she could even hold her baby, he was whisked away to the neonatal ward for treatment. A few hours later, at the dawn of an unseasonably warm June morning, Nankwenya’s son was breathing normally. He shared the nursery with 20 other babies, so many that Mary had to wait in the hallway and watch through glass. An air hose ran from his nose to a shoebox-sized breathing machine nearby. 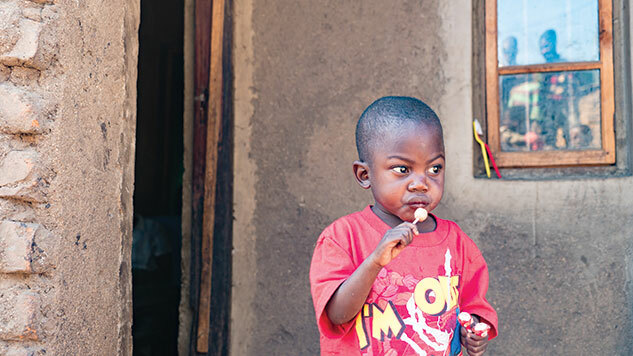 Malawian babies often aren’t named until they are about a month old, and thanks to the continuous positive airway pressure machine, or CPAP [pronounced SEE-PAP], Nankwenya’s child was about three times more likely to reach his naming date. Other mothers in the hallway had told Nankwenya that the machine had saved their children. “Some are being discharged today. They have recovered. All through that CPAP machine,” she said through an interpreter. 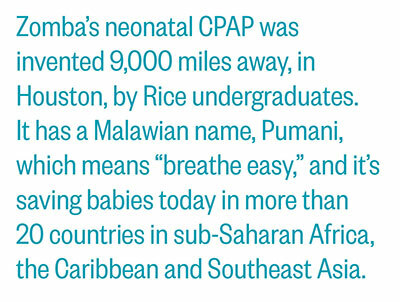 Zomba’s neonatal CPAP was invented 9,000 miles away, in Houston, by Rice undergraduates. It has a Malawian name, Pumani, which means “breathe easy,” and it’s saving babies today in more than 20 countries in sub-Saharan Africa, the Caribbean and Southeast Asia. Pumani’s story is one of hope, perseverance and innovation in action. It’s the middle chapter of an epic 20-year quest to save the lives of a million babies every year. The protagonists are two Rice professors who’ve grown so close that their staff often call them by one name, and their quest began a decade ago in a different neonatal ward in Blantyre, Malawi, a bustling city of 1 million. 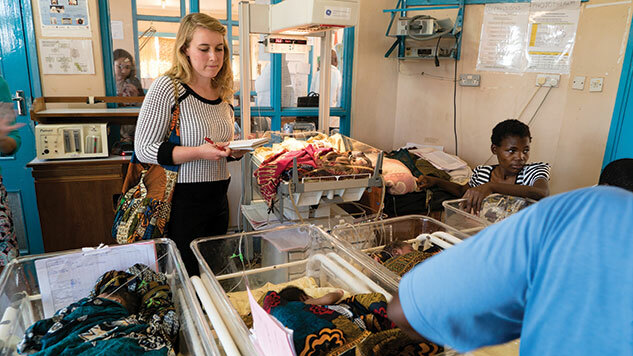 Bioengineer Rebecca Richards-Kortum can vividly recall the emotions she felt when she first saw the crowded, two-room ward at Blantyre’s Queen Elizabeth Central Hospital in 2006. Each bassinet held three or four babies, and there was no room for all the mothers. She had to step over a dozen who sat on the floor breastfeeding, but scores more packed the hallway outside, awaiting their turn. She learned that almost one in five Malawian babies — about twice the U.S. rate — are born premature. These preemies are prone to respiratory distress and a host of other problems; three-quarters of all newborn deaths occur in the first week of life. 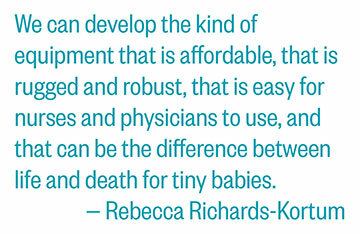 As a mother of six, Richards-Kortum felt for both the mothers and the doctors and nurses at Queen’s. The engineer in her noted the lack of technology: devices U.S. hospitals use to save premature babies— incubators, ventilators, monitors — were missing. “When I walked out, I didn’t yet know how we could be helpful, but shortly after that we went to the hospital’s biomedical engineering department, and I saw that there were rooms and shelves full of broken equipment,” she said. “There were 83 broken oxygen concentrators, and if any one of those had been working, it would have been in use in the neonatal unit. Richards-Kortum returned to Houston and Rice’s nationally ranked Department of Bioengineering, where she’d been championing the idea of bringing more hands-on experiences into the classroom. She’d won a grant from the Howard Hughes Medical Institute to develop a global health curriculum, and she decided to merge the two, creating a program where Rice students could minor in global health by taking a hands-on approach to solving the kinds of problems she had seen in Malawi. She soon found a kindred spirit in Maria Oden, an academic who’d come to Rice a few years earlier to start the bioengineering design course. Oden immediately bought into the idea of teaching bioengineering to conquer real-world problems. Rice’s minor in global health would culminate in a yearlong capstone project where teams of four to five undergraduates would work directly with physicians in developing countries. 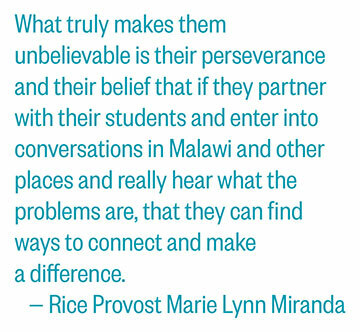 The pair first traveled to Malawi together in 2007 to scout for capstone project ideas. They went to the Queen’s neonatal ward, and Oden’s first experience there was remarkably similar to her colleague’s. Rice students flocked to the new global health classes — within four years, more than 10 percent of undergraduates would take at least one. 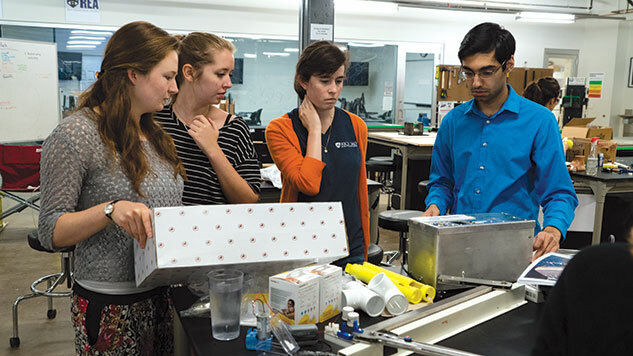 By 2007, Rice had begun work on the Oshman Engineering Design Kitchen, a facility Oden directs, where undergraduates could team up to work on engineering and global health projects. Richards-Kortum also founded the Rice 360˚ Institute for Global Health that year to house the global health program, raise funds and oversee a summer internship program that allowed up to a dozen undergraduates to take prototypes to Africa, Latin America and the Caribbean and get feedback from doctors and nurses. One of the first prototypes taken overseas was a battery-powered tool kit doctors could carry to villages accessible only by foot. The project, termed “Lab-in-a-Backpack,” won supporting grants and was eventually deployed in several countries, including Guatemala, Ecuador, Malawi and Myanmar. Students also created color-coded plastic stoppers to ensure correct dosing of liquid HIV medications. These “DoseRight” clips wound up being used throughout Swaziland and other sub-Saharan countries. The intense data collection and institutional oversight needed for clinical testing led Rice 360˚ back to Blantyre, where the University of Malawi College of Medicine had an established institutional review board. Queen’s was the country’s primary teaching hospital, and Malawi Polytechnic, the country’s premier engineering school, was right across the street. “Everything just sort of worked in Malawi, including finding the right people and partners at the right time,” Oden said. 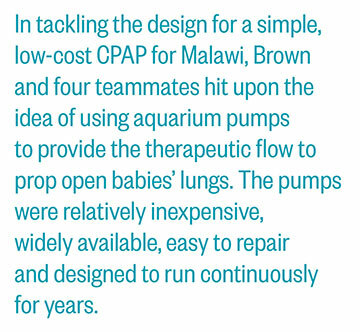 In tackling the design for a simple, low-cost CPAP for Malawi, Brown and four teammates hit upon the idea of using aquarium pumps to provide the therapeutic flow to prop open babies’ lungs. The pumps were relatively inexpensive, widely available, easy to repair and designed to run continuously for years. Their first prototype was built with a plastic shoebox from a Houston department store and cost about 30 times less than the typical commercial versions. The Queen’s staff liked it but wanted a more rugged, user-friendly design. So when the device won a $5,000 collegiate inventors award in summer 2010, Rice 360˚ went shopping for a designer. They found Robert Miros, CEO of 3rd Stone Design in California. Richards-Kortum credits Miros’ practical reimagining of CPAP as a labor of love that proved to be a key turning point for Pumani. The next major hurdle was proving that the CPAP worked. Brown stayed at Rice to work on the project after graduation, hiring on at Rice 360˚ as a global health fellow. She first oversaw a small clinical study at Texas Children’s Hospital, which demonstrated that the machine provided the same therapeutic airflow as $6,000 CPAPs. The big break came the following August, when the Rice-developed CPAP was chosen for a coveted clinical seed grant from Saving Lives at Birth, a philanthropic partnership between the U.S. Agency for International Development (USAID) and others. The grant would pay for a one-year study at Queen’s, and Brown agreed to move there to oversee the work. Oden was with Brown at the hospital a few months later when the first baby was placed on the machine. After having struggled painfully with every gasp, the baby breathed easier in seconds. Within a few weeks, Pumani more than doubled the survival rate of newborns with severe respiratory illness — from 24 percent to 65 percent. Queen’s pediatrician Dr. George Chagaluka, who today runs the CPAP program at the hospital, recalls the helpless feeling that doctors had prior to the arrival of the CPAP. “At that time, in terms of kids that had (respiratory) distress, we couldn’t escalate care. We would end up giving oxygen, and once the child deteriorated on oxygen, there was no way out,” he said. 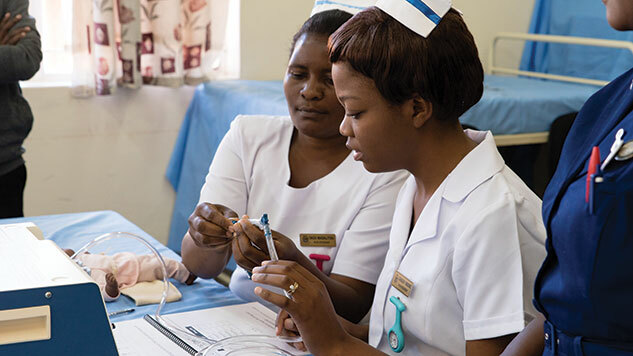 USAID agreed to fund a rollout of Pumani to Malawi’s other 27 government hospitals, and by 2013 Brown was leading a four-person team at Queen’s. That team, along with representatives of the Malawi Ministry of Health, traveled across Malawi to bring CPAP technology to every district and regional hospital. 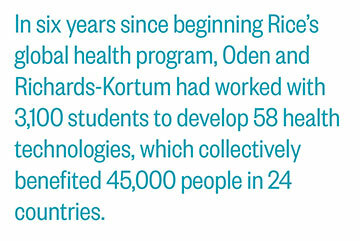 In its announcement of the 2013 Lemelson-MIT Award for Global Innovation, the Lemelson Foundation mentioned the following: In six years since beginning Rice’s global health program, Oden and Richards-Kortum had worked with 3,100 students to develop 58 health technologies, which collectively benefited 45,000 people in 24 countries. Upon learning that the reward came with a shared prize of $100,000, Richards-Kortum and Oden independently arrived at the same idea. “I kept thinking, this was a prize that was coming to us personally, but there were so many people that were involved in the development of CPAP, which is what we were being recognized for. I really wanted to think about a way we could use this prize to honor all of the nurses and physicians and moms and babies and students who had contributed to the development of CPAP,” Richards-Kortum said. The next day, she called Oden and told her she wanted to invest her part of the prize in a Malawi project. “I’m thinking the exact same thing!” Oden said. To the Rice 360˚ staffers who know Oden and Richards-Kortum best, these sorts of “me, too” moments are common. They don’t especially look alike, so the reason people often mistake them for sisters likely has more to do with how they communicate. Like siblings, they seem to convey entire thoughts with a few words or even a glance, and they sometimes finish one another’s sentences. The bond is so strong that Rice 360˚ staffers often refer to them as a single entity: MORRK. The donated prize came at a good time for the Queen’s neonatal ward, which is named in honor of Gogo Chatinkha Banda, the daughter of Malawi’s first president, and simply called Chatinkha by Queen’s staff. 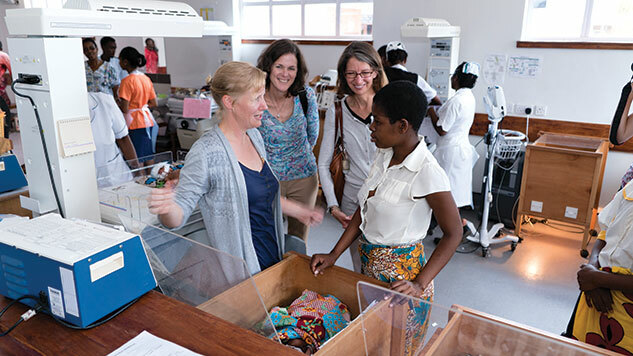 When MORRK called with the good news about the Lemelson prize, they learned that ELMA Philanthropies, a South African charity, had pledged funds to expand Chatinkha by building a new Kangaroo Mother Care, or KMC, facility: a place where mothers of hypothermic newborns can warm their babies with skin-to-skin contact. The KMC expansion would add more than a dozen beds where mothers could lie down while warming and feeding their babies, but the project could not move forward without a matching grant to expand the adjacent, cramped Chatinkha ward — the same one that had so inspired Oden and Richards-Kortum five years earlier. So, it was decided: The prize could cover part of the $375,000 needed for a Chatinkha expansion. Oden and Richards-Kortum decided to use their money to seed a Chatinkha funding drive at Rice. 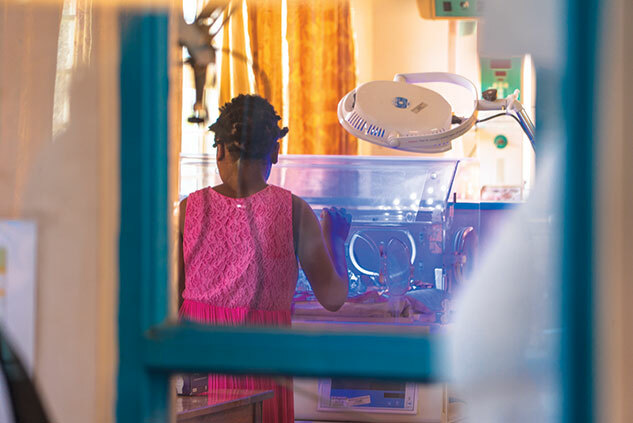 They called it the Day One Project, because the new Chatinkha would serve as more than a tertiary care facility for Malawian newborns: It would be the proving ground for Rice technologies that could help millions of sick babies survive that first, dangerous day. Chatinkha construction was finished in late 2015, just as Rice completed the nationwide rollout of Pumani to all Malawian government hospitals. The new neonatal ward, which more than doubles the space for newborns, has four Pumani CPAPs. The new ward serves as the innovation hub for Rice 360˚, the place where technologies like CPAP can be refined, proven and moved into widespread implementation. Oden and Richards-Kortum call this project NEST, which stands for “neonatal essential solutions and technologies.” Clinical studies of lifesaving technologies are already underway. At a layover in Frankfurt on their way to the Chatinkha dedication, neither Oden nor Richards-Kortum could recall how many times they’d traveled together to Blantyre. Probably about 30. The trip takes two days and multiple flights each way, and they go four or five times a year. Their bond is never more apparent. They move as one through crowded terminals, and when not in motion they usually sit side by side, hunched over laptops ironing out details of the countless meetings that comprise each trip. Oden said, “There’s a trust relationship, where people can tell you things are going well or they’re not going well, and you can make adjustments.” For example, Pumani is easy to use, but nurses become far more effective at administering care with the machines after a few months of training. A policy that automatically rotates nurses between wards every six months makes it difficult to keep the best-trained nurses in the neonatal ward, but the two are working to help change that policy. “Really maintaining and growing those relationships is necessary. You can’t just do it remotely. We do a lot of it through weekly and monthly calls, but in order to really be a true partner, we need to be here,” Oden said. As of January 2017, more than 2,200 Malawian babies had received CPAP treatment, and dozens more are being saved each month. And thanks to a $400,000 award from Save the Children, Asibon is also traveling with Malawi Ministry of Health staff to nursing schools in Malawi, Zambia, Tanzania and South Africa to train nurses to use Pumani. Alfred Chalira, deputy manager of the Malawi Ministry of Health’s Acute Respiratory Infection program, said Pumani’s impact goes beyond babies with respiratory distress. The diagnostic and therapeutic equipment that the CPAP program requires — pulse oximeters, oxygen concentrators, suction machines, feeding tubes — wind up helping other babies who don’t use CPAP, he said. The program also sparked important conversations about the goals and management of neonatal patients. In other words, Pumani’s success in Blantyre points the way for a long-term involvement in Malawi and other countries where smart, low-cost health care solutions can improve maternal and child health.